What’s up Galera, It’s O Rei! The former chubby hubby and five time best selling Capoeira author (Chris Roel). 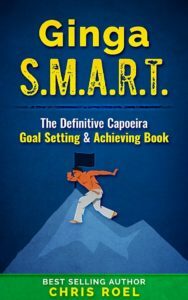 I’m here to help you improve your lives through the amazing art of Brazilian Capoeira. 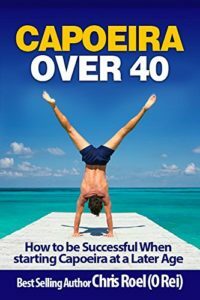 When I lost everything–my job, my house, my hope, Capoeira helped me lose 30 pounds, regain my vitality and put me on the journey to self improvement. 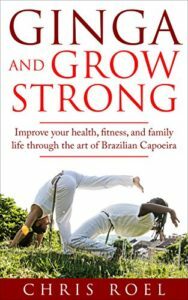 Since 2006, I have traveled the world training with Capoeira masters, opened up my own Capoeira studio, become a published author, become a best selling author, create online training programs that top the charts on Amazon, and most important of all…help adults and kids improve their lives with Brazilian Capoeira. My channel is for you. Check out my FREE resources and Youtube channel HERE. 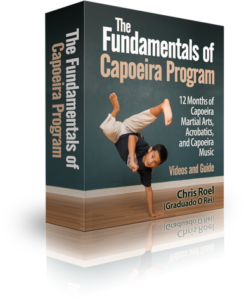 They will put you on the fast track to learning the secret art of Brazilian Capoeira. The book that started it all, “Ginga and Grow Strong: Improve your Health, Fitness, and Family Life with the art of Brazilian Capoeira” tells my story, and how you might model your own journey to improve your life. Check it out here. The cool moves, the music, the culture, the dance, the community of amazing people! Capoeira is the tool that I use to improve people’s lives day in and day out. Whether it’s teaching them to be more responsible, more accountable, more hard working, more organized, or just be a better human being; I make sure that personal development is a part of my teachings. Check out some of my best selling works here on Amazon or on this site. Enjoy, and don’t forget to leave me a comment if you have any questions. Axe! Remember, that there is no judgement here… I started at the bottom…way bottom. That’s why I specialize in getting the ordinary person to do amazing things. You don’t have to be Raw Tricks, Marc Decascos, Lateef Crowder, or any other amazing athlete to learn from this channel. O Rei knows your battles ad struggles and comes to you, so that you can get to that next level if you so choose. If not…that’s cool too. Let’s enjoy the Capoeira journey.